If you are looking for a children’s party entertainer in Saratoga for your upcoming celebration, be it a corporate gathering or a company picnic, a birthday, a school party or any special occasion, it is best to hire a professional entertainer for the day. Denise can keep the youngsters amused with activities that are highly enjoyable and engaging. She has years of experience in the business and can guarantee that everyone will have fabulous time. As parents, we always want the best for our children. We want them to have the best things in life, enroll them in the best schools and, of course, throw the best parties for them. If you are planning a party in Saratoga for your little boy or girl’s birthday, or if you are the event organizer for any unique happening with children as guests then please don’t hesitate to give Denise a call. • Face Painting : The kids choose their favorite from a variety of different designs on the full face chart or the cheek art chart. They also choose the colors they want their face painted. 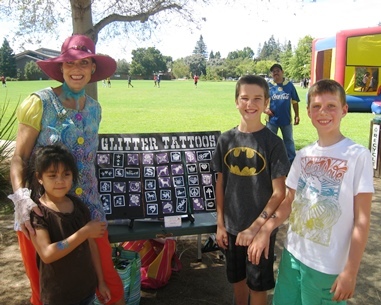 Denise poses with kids by her glitter tattoo chart at a celebration in the park. • Glitter Tattoos : The glittery, fun and temporary tattoos are not only popular in children’s parties but for any special occasion for adults and teens to enjoy as well. There are a variety of designs and colors to choose from. Our temporary glitter tattoos can stay on for up to 6 days. • Balloon Twisting : The long, skinny balloons can be created into all kinds of different designs. This activity is always a hit and the children can take home their favorite balloon toy to enjoy. 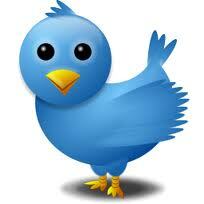 • Party Games : One great thing about party games is that you have a wide array of choices. These choices can be organized into two categories: indoor and outdoor party games. • Magic Comedy Show : One of the most sought after attractions at any celebration. An entertaining magic comedy show can truly make your event a huge success for the little ones. • Clown : Bouncy the Clown is a highly endearing character that brings out the funny, silly side in others. Immediately, when arriving at a party, people are cheered by the looks of a clown, admiring my big feet in shiny gold shoes, bright colored hair, and funny red nose. Most children love Bouncy! Bouncy is funny and enthusiastic, looking and acting every part of an entertaining clown. • Magical Genie : She is always a hit at parties because she is clever and her colorful party costume catches everyone’s attention all the time. Just like what her name says, she is magical too. • Fairy : The lovely fairy with her magical wings is a gentle character that both boys and girls always admire. • Miss Mouse or Mr. Mouse : The loveable party characters that children absolutely adore. Both Miss and Mr. Mouse look similar and they are just as amusing as the famous Disney characters. • Princess : A highly adored character as she graces parties with various activities that are sure to win the children’s hearts and have them laughing from joy throughout. 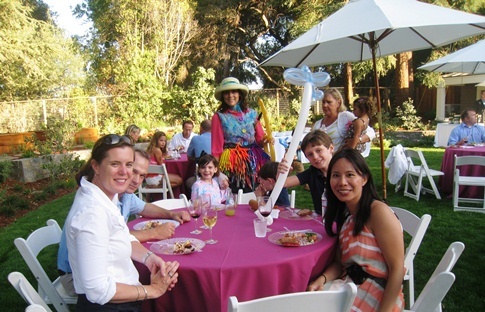 Are you looking for a children’s party entertainer in Saratoga, CA? Please give Denise a call today at 650-740-7798 to discuss the details on how to make your special happening a huge success.